I happened upon the OPI Wizard Of Oz collection while I was out with my family on Chinese New Year and thought that it was a fortuitous sign for me so of course I had to pick up my favorite polish of the bunch. I ended up choosing What Wizardry Is This?, the single Liquid Sand of the collection. 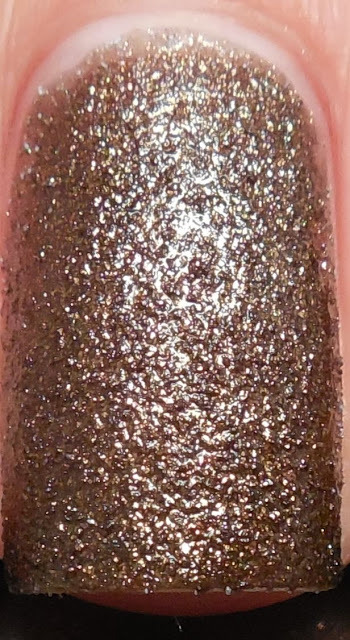 It's a gorgeous golden brown and unlike the previous releases of Liquid Sand, it's a uniform texture and color instead of containing multi sized glitters or colors. Application was easy peasy and I used two layers to achieve opacity. It dried fairly quickly and the texture was nice, and not nearly as rough as Stay The Night. I did noticed that if the cap threads aren't cleaned well, the next time will be difficult to open. I tried it with topcoat as well.... it was super thirsty so I had to use two layers of Gelous and then finished with SH Insta Dri. Overall, I thought this polish was stunning whether worn alone or with topcoat. 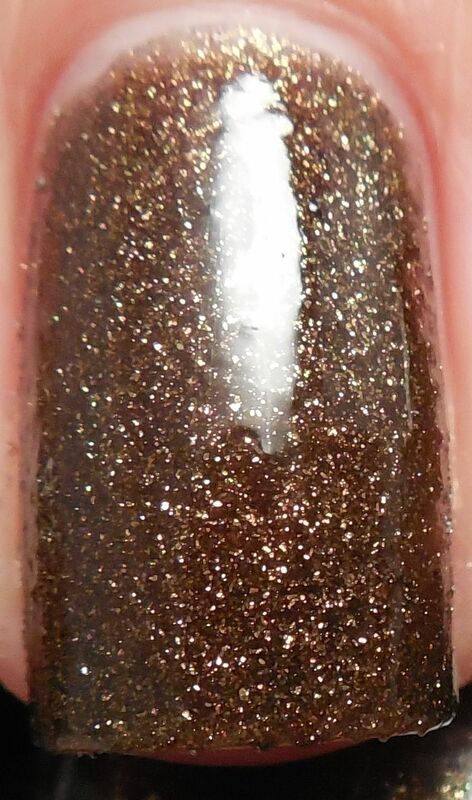 The colors that reflect off the gold texture really pop with the topcoat, but even when worn alone it's hard to stop staring at the gorgeous color and texture. This was definitely a winner and my favorite of the entire Oz collection. I'm sure the rest of the colors are nice but I have no desire to check them out because this one is so fantastic. How about you, are you planning on picking up the other colors or are you thinking of just grabbing this one, like I did?